Holiday Traditions with Hickory Farms and a Giveaway! The holidays are an incredible time of year - we all operate a little lower and reveal in the sheer joy of seeing our kids open their Christmas presents. Ever since I was a kid my holiday traditions have involved going to my cousins&apos; house where we enjoy a feast on Christmas Eve and presents and piergoies on Christmas Day. My daughters now enjoy this tradition and we can&apos;t wait for some time away. When we go to their house, we always bring something special and this year I am bringing a Hickory Farms gift basket. As a tradition for more than 60 years, many Americans have a distinct memory of Hickory Farms at their holiday gatherings and this continues today as Hickory Farms offers an incredible selection of specialty meats, cheeses, nuts, fruit, wine and holiday gift packs that are perfect for any budget and for everyone on your list this year. Some of our favorites are the Hickory Holiday Reserve, Orchard&apos;s Bounty Gift Pack and the Turkey Hickory Sampler that is complete with all the essentials to enjoy year-after-year. You can find Hickory Farms at HickoryFarms.com or at 700 holiday stores and mall kiosks across North America, as well as in select retailers. Win it! 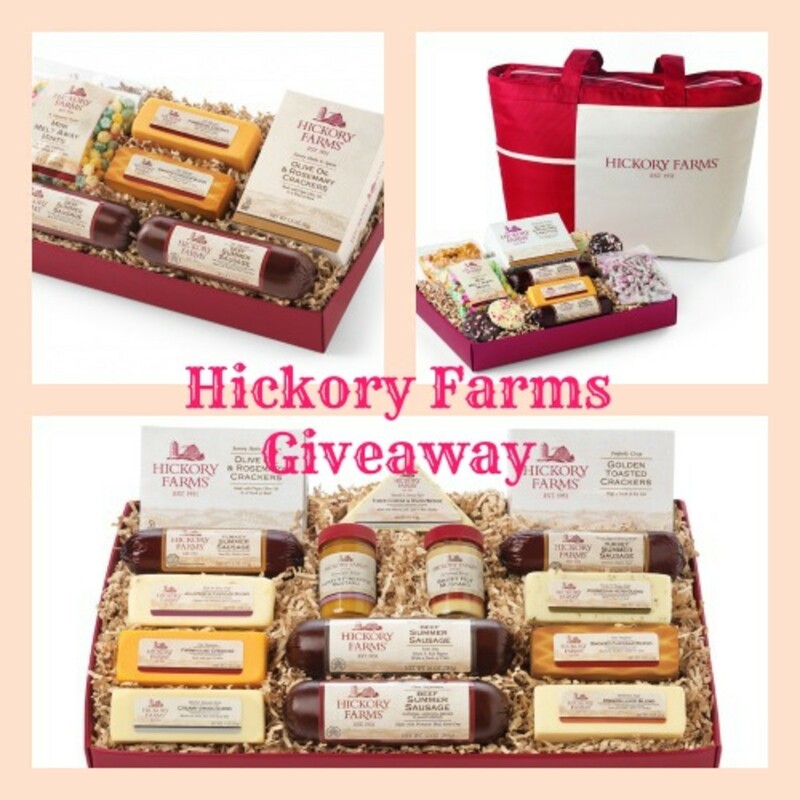 We are giving away a Hickory Farms food pack complete with cheeses, sausages and nuts! To enter, tell me what your favorite holiday tradition is with your family in the comments section. 1. LIKE MOMTRENDSAND HICKORY FARMS ON FACEBOOK. 2. FOLLOW @MOMTRENDS AND @HICKORYFARMS ON TWITTER. Full Disclosure: Winner must be 18 years or older and a US Resident. No purchase necessary. Winners will be notified via email with the specifics on how to claim their prize. Contest ends 1/10/13 at Midnight EST. Winners will be picked by random.org. By entering this contest, you will automatically be signing up for the Momtrends newsletter. This a sponsored post.